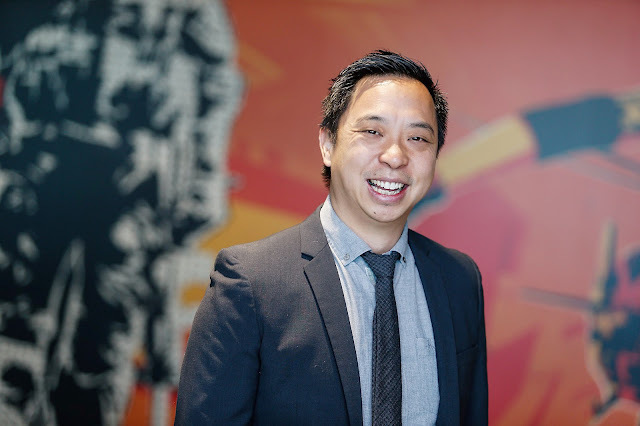 Australia’s largest game developer is Melbourne’s Firemonkeys. The company was formed when Firemint, the developer behind the superb Flight Control, acquired Infinite Interactive (Puzzle Quest) and then merged with IronMonkey after EA required the two of them, which gave the game developer with its current name. Related reading: Matt's review of Real Racing 3 on the Apple TV. It's a great console-like experience. 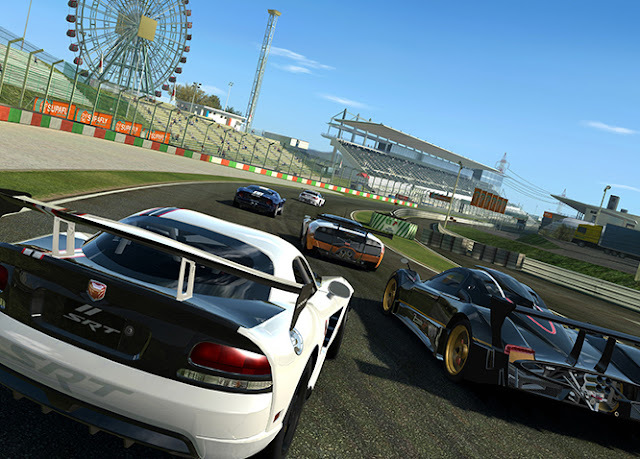 Since being acquired by EA, the company has specialised in mobile racing games, producing Real Racing 3 and Need for Speed: Most Wanted, though it was also responsible for The Sims: Free Play. With over 170 staff, the company is one of the relatively few developers of such a scale in Australia that young talent can get their start in the industry and work under the tutelage of a number of veteran developers. In other words, Firemonkeys is doing really good things for the local industry, and it, along with a couple of other key developers (Big Ant, Hipster Whale), is the reason that Melbourne is such a centre for game development in Australia. Building on that yet further, Firemonkeys has just opened up a new office in the heart of the city. I recently caught up with the General Manager of Firemonkeys, Tony Lay, to talk about how the Australian game development scene is tracking, and where Firemonkeys sees its business going moving forwards. Digitally Downloaded (DD): Given that Firemonkeys has been one of the survivors of game development in Australia, how do you see the market shaping up for us locally at the moment? Tony Ley (TL): I think our market has the best foundation for longer term success. The reason for this is we are good at focusing less on work for hire, which some markets have been guilty of. Locally, we have more studios focusing on creativity and quality, and pushing to get their own games out, and this approach has seen success in mobile. What Firemonkeys has achieved, as well as the likes of Half Brick and Hipster Whale, are good examples. These are the foundations of longer lasting successes. DD: A lot has happened since the company was acquired by EA. Do you still see viability for a studio to be a free-to-play mobile specialist, now that the mobile market is consolidating? TL: We absolutely see continued viability for being a free-to-play specialist. As proud developers we want as many people to play our games as possible and making these free gives us the ability to reach as many people as possible. It allows more people to play and it also allows those who are short on time to pay to accelerate their experience. It really is player's choice, which keeps us honest as developers. DD: We've seen some other developers be quite successful in bringing their free mobile games to consoles as premium-priced products. Pac-Man 256 is a good example of this. Do you see potential to do similar with Firemonkeys IP? TL: Right now there are no plans for us to shift our focus, as we have a very large global user base on mobile. Our priority is retaining and building the best talent, so that we can continue creating smash hit games and delivering world class live service updates for our fans. DD: Obviously Firemonkeys is well represented in Melbourne. Have you thought about building studios in other states in Australia? Why/ Why not? TL: Not at this stage. We want to focus on one location and our work so that we aren’t distracted from holding a high quality bar across everything we do. Melbourne is a fantastic hub for creativity, and the state government provides great support and infrastructure for the industry. We've just moved into an incredible new studio in Docklands, which will allow us to attract and retain the best talent internationally and locally, and to ensure we're innovating with the best facilities in the industry. TL: For certain roles, yes. Production can be challenging, and one of the harder ones we’re finding right now is UI/UX. At Firemonkeys we're investing in our professional talent pool as a priority. We're Australia's largest studio, have world class facilities and provide strong career paths within the studio, which we're able to do thanks to our scale. Our goal is to be the world's best studio, and that's an exciting journey for people to be a part of. If people reading this are interested in finding out more, get in touch! DD: Why do you think Australian developers have done so well with the mobile platforms? It's not just yourself, but Halfbrick, Hipster Whale, and so on... what is it about our game development culture that allows us to excel in this approach to game making? TL: Australia has exceptionally high quality developers, and generally less of them. The combination of these two factors means that our niche is making higher quality smaller games for mobile. Another factor is that we don’t have a huge local market, so we are always internationally focused and having an open market for developers to connect with their players is a real advantage for us. DD: South East Asia, China and Japan are becoming the real opportunity for developers in the mobile space. Do you see Australia's location and close cultural ties to these countries to be a benefit to us as a game development centre? TL: Location-wise it is only a benefit as far as time zones. Culturally, these countries are very diverse and nuanced, and developers really need to invest in understanding them deeply, in order to create games that resonate with the audiences. DD: Will racing games continue to be the primary focus for Firemonkeys, or do you see some opportunities to play with other genres? TL: While we are currently famous for our racing titles Real Racing 3 and Need For Speed No Limits, The Sims FreePlay is also incredibly successful. In the past Firemonkeys has developed very popular titles in the action and casual genres, including Mass Effect and Dead Space. We're not ruling anything out, but right now there is a lot of passion behind Real Racing 3, Need For Speed and Sims FreePlay. DD: What are some of the games that you're playing at the moment? TL: At the moment, my time is split mainly between Need For Speed and Clash Royale. The competitive edge and playing a real person appeals to me. I'm fitting them in when I can, in between my busy work and family life. Item Reviewed: Interview: On being Australia's biggest game developer 9 out of 10 based on 10 ratings. 9 user reviews.